The suspension of the Greek league has affected Mexican striker Alan Pulido. Alejandro Rodriguez, president of Tigres, has been talking about the sensitive subject of Alan Pulido, after it was revealed that the Greek League had been suspended indefinitely due to violence in the stadiums. The suspension of the league indirectly affects the Mexican striker Alan Pulido, who will have to wait for his chance to play for new club Levadiakos. Rodriguez joked about the situation and said that now Pulido should practice with table football. “Maybe he can practice table football or something similar so he can play,” he told Univision. Pulido left Tigres under a dark cloud after falling out with the team over a contract dispute last summer. He didn’t play between May and January, before finally securing a move in the new year. He will join Levadiakos’s parent club Olympiakos in the summer. 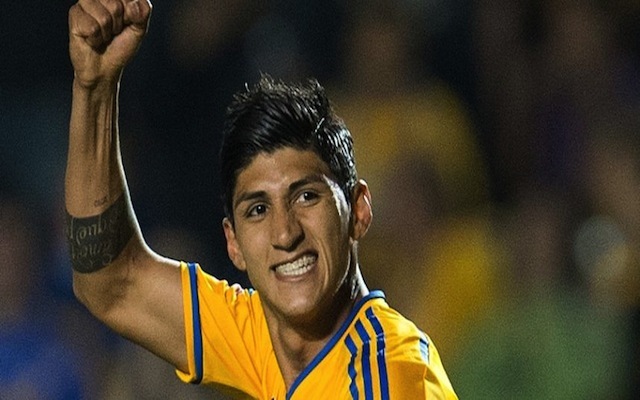 Rodriguez insisted that Pulido can return to Tigres at anytime to continue his career. “If he wants to fulfil his dream of playing football, there is still time. At his age, he is mature enough to rectify and return to where he should have never left and continue with his career that was leading him to success. We are ready to receive him to the team he should have never left,” he continued. Pulido made his debut with Tigres in 2009, he was a key player for Tigres when they won the title in 2011 and the Copa MX in 2014. The 23-year-old was part of Mexico’s World Cup squad, but did not see any action.